Special care and attention are needed when it concerns medication, diet and health of diabetic patients. 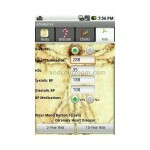 Below are gathered several diabetes software for use in Android phones which can help diabetic patients. This diabetes software designed for Android phones assists people with diabetes keep an eye on their condition by following certain items such as medication, diet, exercise, weight and glucose. 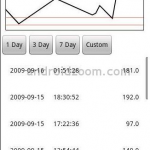 It lets you set either a high or a low sugar range, has a user-friendly interface and uses charts and graphs to give results. 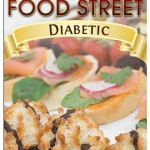 Food Street Diabetes assist diabetics to prepare the type of food that will not affect their diabetes negatively. This app is a diabetic’s food guide and assist in creating healthy recipes. 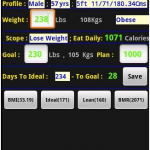 This app is useful as it helps diabetics to keep track on their exercise, weight, diet, and blood glucose. For those type 1 and type 2 diabetics who have to check on their medication records and take humalog injections, this diabetes software Android phones are most suitable. eDiabetes Pro is what diabetics need to help them control their own blood glucose levels by indicating the required insulin dose, what to consume, the way to exercise and what other possible happenings which can affect their blood glucose levels. It is good in assisting diabetics in achieving a diabetic-friendly lifestyle. This educational app, which uses flash cards, is suitable for type 1 and type 2 diabetics to assist them to know more about diabetes. 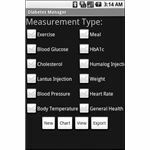 It is an essential app for medical practitioners, medical students, nurses and others interested in diabetes. 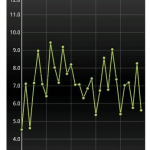 To monitor blood glucose results of diabetics and have it shown as a graph can be done with AgileDiabetes. 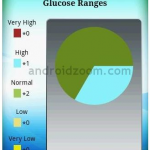 This app lets you email the blood glucose results you have put in to your computer or your medical practitioner.Its menu permits low or high units and values to be set by you. 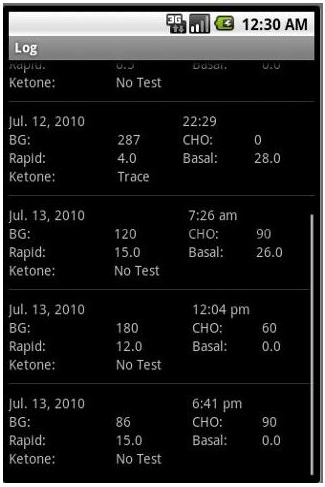 DiabetesManager lets a diabetic’s blood sugar results to be seen as a table format or charts. It permits blood sugar as well as general health information to be sent out to your doctor or saved. Body temperature, blood pressure, heart rate, weight, diet, exercise, Humalog doses, sugar levels and other health limitations can be measured by DiabetesManager. 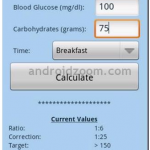 Insulin Calculator can calculate the insulin dose needed by a diabetic if this diabetic’s present blood sugar level and the values of the carbohydrate in the meal are entered into this app. This software also has figure correction given according to blood sugar levels. 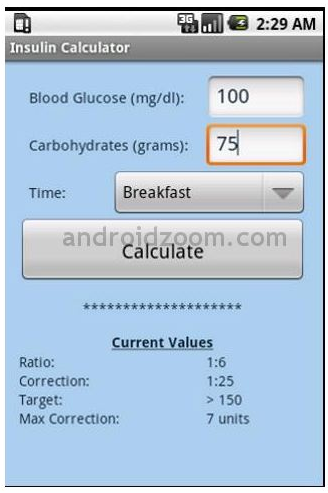 With Insulin Calculator, it is do easy to monitor diabetes. This app can be downloaded for $1.99. 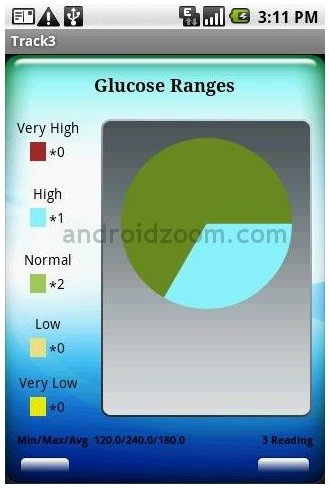 Having correct information on blood sugar is important for diabetics. 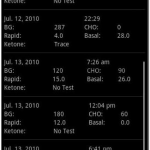 Diabetes Log assist you by storing and tracking ketones, insulin, carbohydrate values, and blood sugar levels within your body. The stored information in this app can emailed to your medical practitioner or yourself. This app can be downloaded for $4.99. Track3 Diabetes Planner follows a diabetic’s insulin dosage, medication, exercise, diet, and blood sugar. This app allows you to change insulin, medications, exercise routines and lists of favorite foods. This app can be downloaded for $6.99.